Overview: The US dollar is trading with a softer bias in tight ranges. The euro and sterling have been confined to yesterday's ranges, while the greenback briefly traded above JPY113.00 for the first time in two months. The South African rand and Turkish lira are leading the most emerging market currencies higher. Asian equities moved higher, led by Hong Kong, which returned from yesterday's holiday. The MSCI Asia Pacific Index rose about 0.25%. 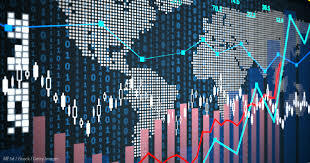 European markets are narrowly mixed, leaving the Dow Jones Stoxx 600 flattish near midday. Consumer staples, utilities, and real estate are moving higher, while materials and consumer discretionary are offsetting. Benchmark 10-year yields are mostly one-two basis points lower, while the Italian bond outperformance continues. Federal Reserve: The FOMC meeting is the highlight of the day. A rate hike today has been regarded as a done deal for some time. The market may take its cues then not from the rate decision but by other things the Fed says. Four considerations may influence how the market interprets the Fed's decision. First is how the Fed characterizes the economy and inflation. Some observers call the deficit-financed growth as "sugar high." The tariffs and retaliatory tariffs will likely shave growth and boost prices. Second is what the Fed signals about December. Recall that in June, one member changed their forecast, which was sufficient to push the median forecast to two hikes in the second half of the year. Eight saw two more hikes and seven saw three or fewer. Clarida was confirmed last month, and this will add the 16th dot. The CME's model suggests about 82% probability of a hike has been discounted. Given numerous official comments, there is no reason to expect that the Fed will back off. The third is the path of tightening going forward. The median June forecasts anticipated three hikes next year. The market is not quite there Many observers are express concern about a fiscal cliff in 2020, when the June forecasts expected two hikes. And for the first time, the Fed's forecast horizon extends to 2021. The fourth factor that may shape the market's reaction is if the Fed changes its long-run forecast, which is understood to be the equilibrium or neutral rate. It is currently at 2.875%. Alternatively, the Fed may adjust its language to recognize that policy is evolving toward neutrality from accommodative. The Fed's dot plot points to the target rate moving above the long-term forecast next year and staying above it in 2020. Chinese stocks: The Shanghai Composite rallied nearly 1% after gaining 4.3% last week, the most since March 2016. Today's rise lifts it to the best level since August 1. Note that an index of H-shares (that trade in Hong Kong) matched the Shanghai's performance last week and was up nearly 1.5% today. The demand for Chinese shares appears driven by two considerations. Valuation (relatively cheap) and some potential benchmark adjustments. MSCI is considering lifting the cap on the free-float adjusted A-shares 20% from 5% of its Emerging Market Index. At the same time, FTSE Russell will announce tomorrow the inclusion of A-shares in its indices, though the implementation timeframe and weight are not known yet. Although President Trump has cited the relative performance of the equity markets as a sign that the US is faring better amid the trade tensions than China. Since there are numerous factors that drive equity market valuation than trade, it makes for better political rhetoric than investment advice. Nor do we think Chinese stance on trade is at all influenced by the recent gains in the equity market, which some are trying to link. China's position does not appear to have changed one iota from earlier when the equity market was under greater pressure. Chinese markets are closed for national Golden Week holiday next week. The yuan is at the lower end of this month's range. Here in Q3, the yuan as strengthened in only two weeks, and one of them was last week. NAFTA: It seems clear that Canada will not meet the September 30 US deadline to sign on to the US-Mexico agreement. This will shift the focus back to the US and spur a battle between the White House and Congress. The Trump Administration must submit a text of the agreement to Congress at the end of the month. This allows the kabuki-like-theater to continue. The outgoing Mexican president to sign the agreement on his last day of office on November 30, which is agreeable to President-elect AMLO. Ostensibly, the US Congress can still approve it before the next Congress is seated. However, the rub is that Congress granted trade-promotion authority to update a trilateral agreement and the Trump Administration will submit a bilateral agreement. US and Mexican political considerations are being taken into account, but the fact that Quebec, for which dairy is an important industry, has provincial elections on October 1 is all but ignored. The Canadian dollar has gained about 0.7% against the US dollar this month. Its stock market is off about 0.65% so far this month, making it the worst performer in the G7. New Zealand dollar bellwether? New Zealand reported a record trade shortfall in August (NZ$1.48 bln vs. NZ$925 mln expected and NZ$1.17 bln a year ago), but the New Zealand dollar shrugged it off. Some see in the Kiwi's resilience a poor omen for the US dollar. This seems to be reading too much into it. The New Zealand dollar is among the worst performing major currencies this year, losing 6.2% against the US dollar, and that is after this month's 0.5% advance. Recall that the Kiwi gained in every session last week, and after falling Monday, edged higher yesterday and today. Still, it is down almost 0.5% this week. The RBNZ meets tomorrow and is widely expected to stand pat. Merkel Lame Duck? German Chancellor Merkel suffered a sharp rebuke from her own party yesterday as it dumped an ally her headed up the CDU caucus in Parliment. This was an unexpected development but follows internal strife in her cabinet, and clashes with the parts of her party and the CSU over the domestic intelligence chief who contradicted the Chancellor by suggesting that anti-immigration video was fake. Bavaria, which is the home state of the CSU, goes to the polls on October 14. Like the CDU, the CSU has seen its support sag, and it could very well lose its majority as the rising AfD squeeze it. This may have emboldened the local leadership to be more openly confrontational to Merkel, whose immigration policies are widely faulted. It is possible that election results force a CSU leadership change and this could impact the governing coalition. There has been little impact on the euro, which is trading in the upper end of a three-four-month range. There are nearly 3.8 bln euros in options struck between $1.1730 and $1.1750 that expire today. Yen: The dollar was sold to JPY112.75 after briefly trading above JPY113.00 in early Tokyo turnover. There are several options expires today that may serve to confined activity. There are JPY112.95-JPY113.00 options for $1.2 bln that will be cut today. There are another $415 mln at JPY112.70, and another $1.9 bln struck at JPY112.50 that expire. Dollar Index: On September 20, the Dollar Index traded between roughly 93.80 and 94.55. It has not traded outside of that range since then. It has been trending lower this month and therefore must prove itself on the upside to signal a change. The Federal Reserve has met five times this year before this week. The Dollar Index had finished lower each day it met except the last time on August 1 when it eked out a small gain (~0.2%).